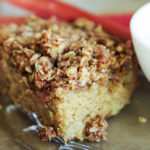 Moist rhubarb cake with a buttery crumble topping of oats and pecans and pops of tartness in every bite from the rhubarb. 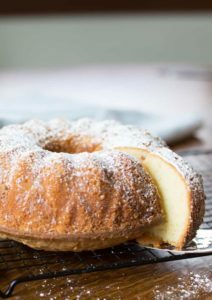 Served with a side of real whipped cream, it’s a delicious cake for any time of year! This time of year, I have all things rhubarb on my mind including this rhubarb cake! 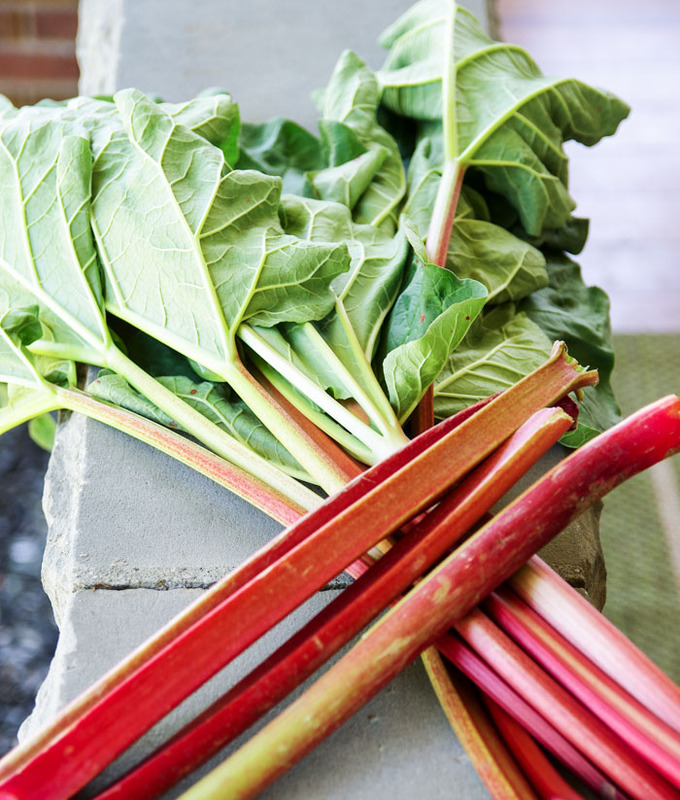 My husband and I used to live at a little cottage with a big garden and every May through June, there were 4 leafy bushes coming alive with fresh, tart rhubarb stalks. The image signified the start of rhubarb dessert season and I would make everything from strawberry rhubarb pie to rhubarb muffins to rhubarb soda. If you grew up around it, you probably even knew someone who picked a stalk, sprinkled salt on it and took a satisfying, sour bite! What I love most about rhubarb is that it has sort of a batman personality. It is a vegetable, but has a fruity taste and mingles with fruits instead of other vegetables. It also takes on a variety of shades that determine the level of tartness. Red and pink are less tart than green, but all of the colors are ripe. Rhubarb also seems to be immortal. We’ve accidentally tilled over the bushes in our garden and somehow it always came back alive. As a perennial, it will continue to sprout year after year with little to no effort. If these qualities don’t make rhubarb one of the coolest vegetables, I don’t know what does! Our favorite cake is this rhubarb cake. We make it in the spring and early summer when fresh rhubarb is abundant in the wild or grocery store, but I also like to make it year round with frozen rhubarb too (I’ll explain more on that later!) 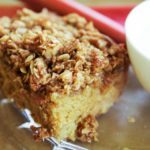 The cake itself is incredibly moist, filled with simple ingredients like dark brown sugar and sour cream and topped with a crumble loaded with oats and pecans. Served with a side of real whipped cream, it is a delectable cake fit for any occasion. 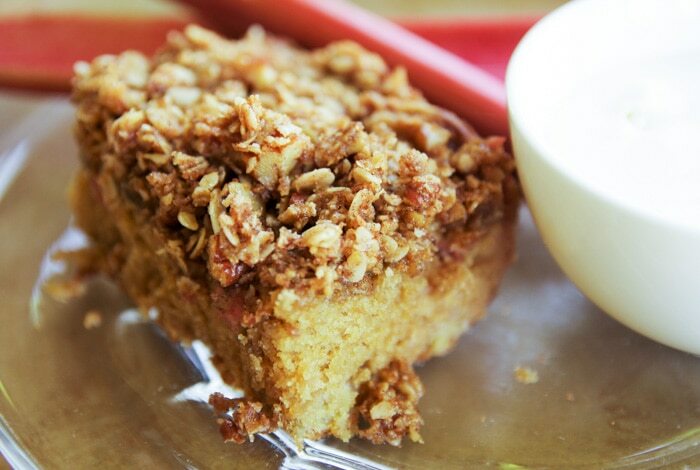 Are you ready to make this rhubarb cake with me? Here is a shot of fresh picked rhubarb from my neighbors yard with the green leaves still attached and about four stalks I picked up from Kroger at $3.99/pound. 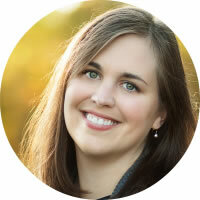 You can also look for rhubarb at farmers markets or like Lynette did with her Rhubarb pie, at Amish bakeries. 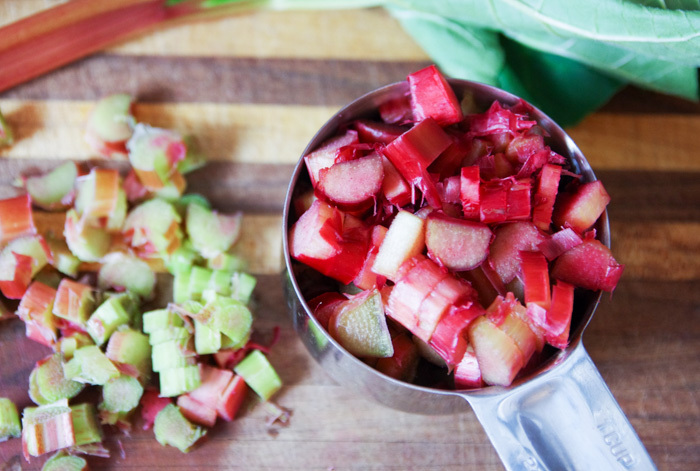 Rinse your stalks with water and chop up two cups of rhubarb as if you were chopping celery. Remember that red and pink stalks are less tart than green ones, but either shade will work here. Set your bowl of rhubarb aside. If you have extra rhubarb to spare, keep chopping it up and put the extra pieces into freezer boxes or bags by two cup measurements. 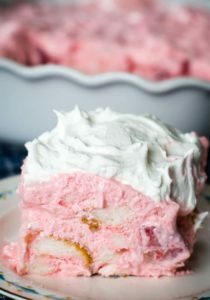 Frozen rhubarb keeps for months and you will be ready to make this cake come fall or winter! Preheat your oven to 350 degrees. 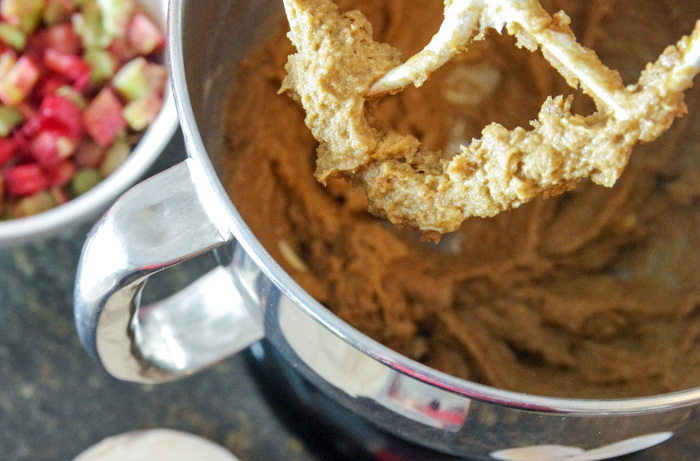 In a stand up mixer, cream together 2/3 cup dark brown sugar, ½ cup softened butter, 1 egg and 1 cup sour cream as seen here. Next, stir together 2 cups all-purpose flour, 1 t. baking soda and ½ t. salt in a separate bowl and add this slowly to the creamed mixture just until it is all incorporated. 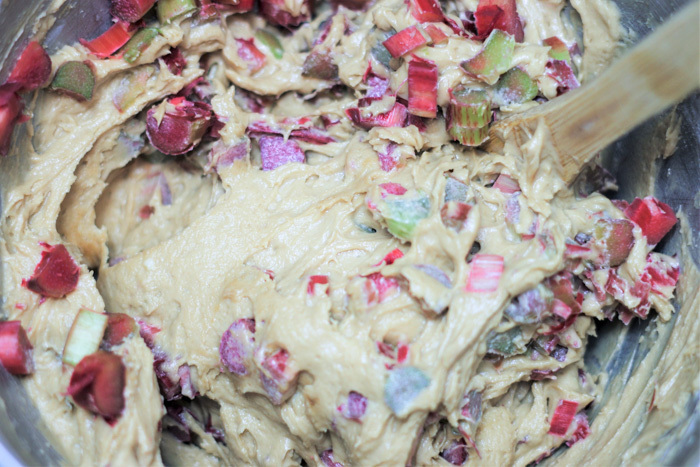 Remove the mixer bowl and fold in your two cups of chopped rhubarb by hand. 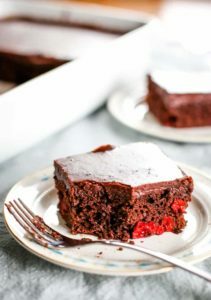 When these rhubarb pieces are baked in the cake, you will have these little pops of tart in your mouth. So yummy! 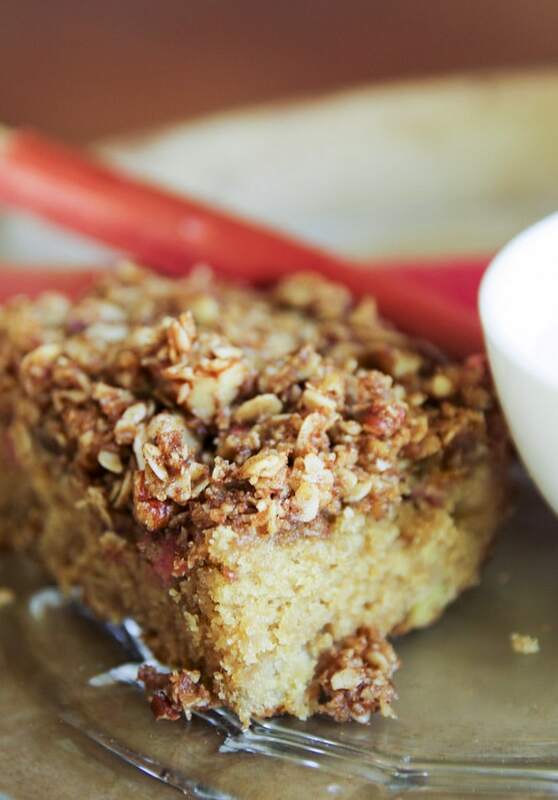 Spread the rhubarb filled batter into a greased 13×9 pan. In a separate bowl, combine an additional ½ cup dark brown sugar, 1 cup rolled oats, 1 cup chopped pecans, 1 t. cinnamon and the kicker, ¼ tsp. grated nutmeg! Freshly grated nutmeg makes such a difference in crumble toppings, but if you don’t have access to whole nutmeg, ground nutmeg will work! 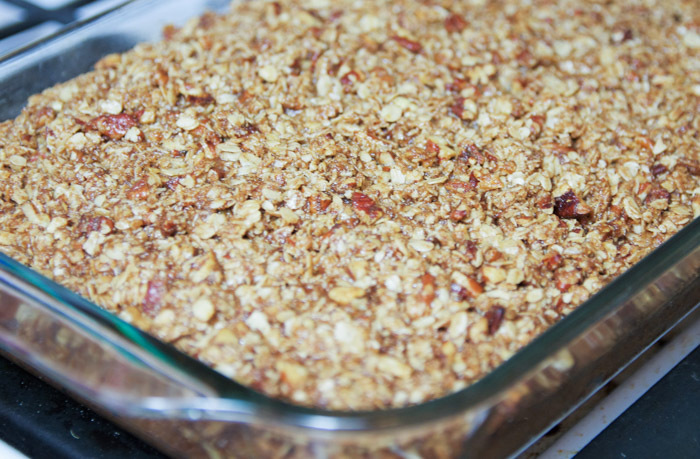 Spread the crumble evenly on top of your batter and gently press down on it before putting it into your preheated oven. Bake the cake for 30-35 minutes or until a toothpick comes clean. 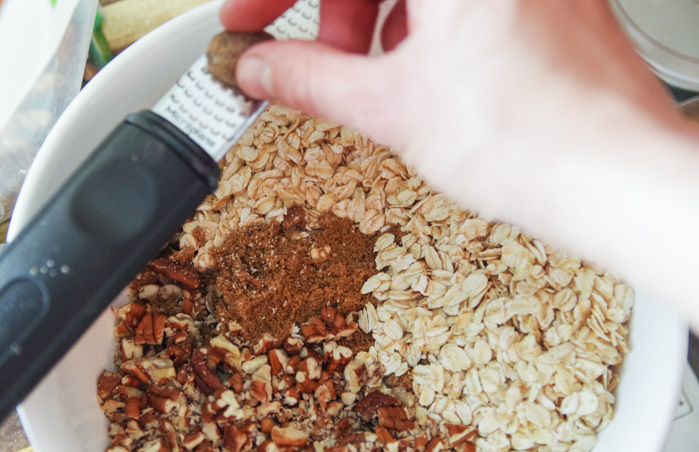 If you are afraid that your pecans are getting too dark, you can put foil over the top for 10 minutes during baking. Remove the cake and let it cool a bit before slicing. Serve it warm, cool, cold, or even freeze some of it for later! 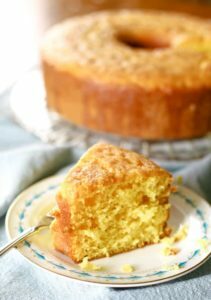 You will love the irresistible sweet and tart of this cake. The nutty crumble takes it over the top, especially when drizzled with real whipped cream. We can’t get enough! 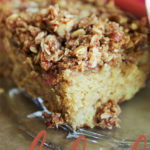 Easy rhubarb cake recipe with a crumbly pecan topping! Rinse your rhubarb stalks with water, chop up two cups and set aside. Using a mixer, cream together 2/3 cup dark brown sugar, ½ cup softened butter, 1 egg and 1 cup sour cream. Next, stir together 2 cups all-purpose flour, 1 t. baking soda and ½ t. salt in separate bowl and add this slowly to the creamed mixture just until it is all incorporated. Fold in your two cups of chopped rhubarb by hand. Spread the rhubarb filled batter into a greased 13×9 pan. 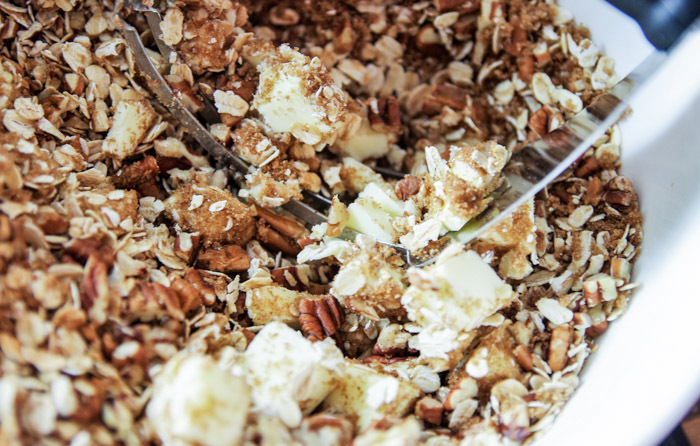 In another bowl, combine an additional ½ cup dark brown sugar, 1 cup rolled oats, 1 cup chopped pecans, 1 t. cinnamon and ¼ tsp. grated or ground nutmeg. With a pastry blender, cut in ½ cup of cold butter until you have a crumble. 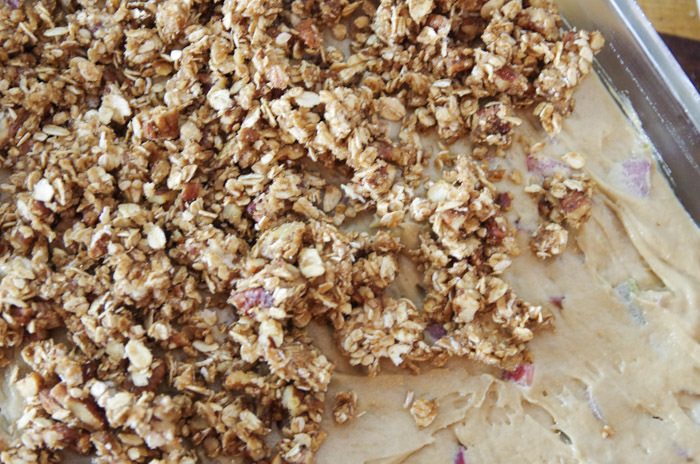 Spread the crumble on top of the batter and gently press it down before putting it into the oven. Bake the cake for 30-35 minutes or until a toothpick comes clean. Remove the cake and let it cool a bit before slicing. If you are afraid that your pecans are getting too dark while baking, put foil over the top for the last 10 minutes.